Llanthony Priory Hotel01873 890487work HotelIdyllic, beautiful, calming, atmospheric, just a few words often said about Llanthony Priory. Feel the need to get away from it all? Want to feel as if time has stood still? Ready to relax and unwind? 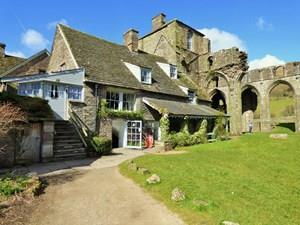 Idyllic, beautiful, calming, atmospheric, just a few words often said about Llanthony Priory. Whether you want to go walking, cycling or trekking, maybe do some reading, painting or star gazing. Llanthony is a wonderful base to cater for all.